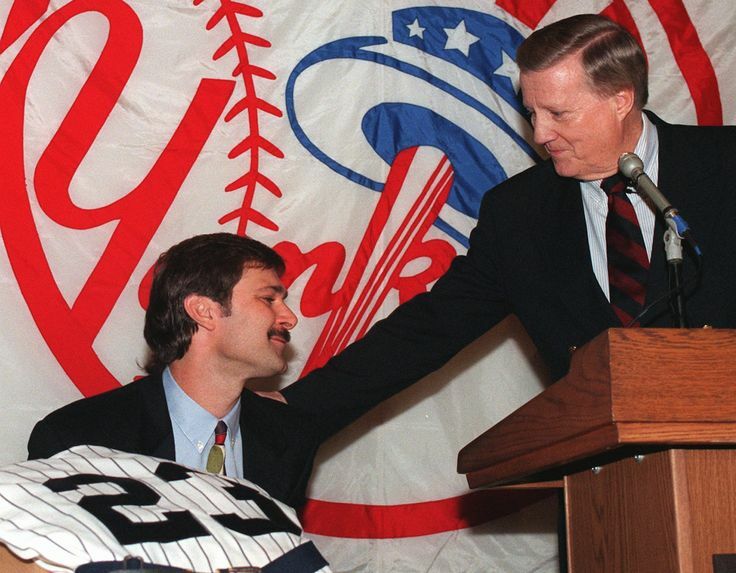 Like millions of Yankees fans who grew up in the late 1980s and into the 1990s, Don Mattingly was my hero. He was my favorite baseball player, and someone I truly idolized. Unfortunately, Mattingly’s relationship with the Yankees wasn’t as strong as my devotion to him as a little fan. On one day during the summer of 1991, tensions between the two sides reached an all-time high, and Mattingly’s flowing follicles were at the crux of the matter. As they do today, the Yankees had their anti-long hair team policy in place back in 1991. Although he was easily the team’s best player, and its most highly paid, even the great Don Mattingly was subject to this team rule. In August of that season, GM Gene “Stick” Michael (George Steinbrenner was serving his two-year ban at this point) called his captain to the principal’s office and let him know that, in no uncertain terms, it was time for the hair to go. Mattingly refused and was benched benched, and a hairstyle standoff of epic proportions was on. Yikes. Tell us how you really feel, Donnie. Despite reports that the Giants and Cardinals were interested (the Giants allegedly offered their first baseman Will Clark, a starter and a reliever), Mattingly didn’t get traded that offseason. He also didn’t get traded in 1989 or 1990. In 1991, with the Twins in town one weekend in June, Mattingly asked the Yankees for a trade again. Despite Steinbrenner not being around, the Yankees “five-year plan” wasn’t going to develop fast enough to get the captain the ring he so desperately coveted. Mattingly respected the Twins organization and wanted to play for Minnesota. In the end, nothing happened. Don stayed on the Yankees, and the Twins went on to win the World Series without him. Look how friendly these two guys are! Mattingly wasn’t traded that offseason either, and played the remainder of his days in pinstripes. He even got a taste of the post season in 1995 (the Yankees were on their way, and one of the favorites to win it all, in 1994 before the players’ strike ended the season in August), and his home run in Game 2 of the ALDS against the Mariners remains one of my favorite Yankees moments. 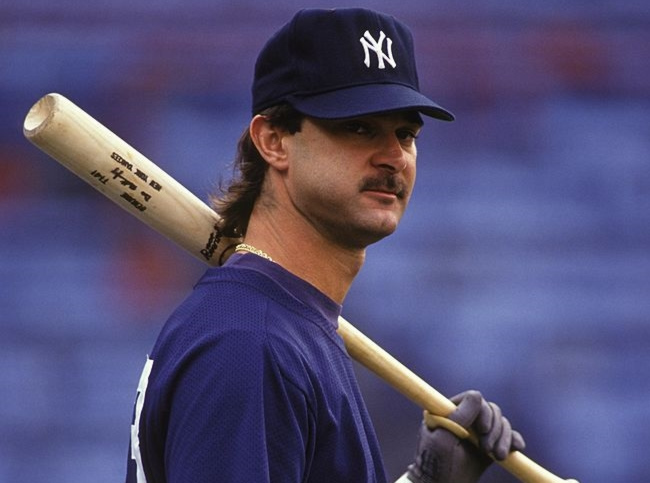 Sadly, Mattingly retired after that 1995 season, and the Yankees won it all the very next year… at least he could finally grow his hair as long as he wanted to.